If you wish to reserve an item, (a minimum 48 hours in advance) call the IMS Circulation Desk at 619-260-4567. Due to staffing limitations delivery, set up and pickup of equipment cannot be guaranteed. IMS Staff is not available to stay and operate your equipment. We are happy to schedule a training session prior to using any reserved or checked out equipment or with any installed classroom system. Discuss your needs or make and appointment with the IMS Circulation Desk personnel. Non-academic or off-campus groups holding events on the USD campus must contact their event building coordinator or scheduler and discuss their audiovisual needs. Arrangements/requests for the rental or use of IMS audiovisual equipment must be made through each group’s on-campus USD contact. Rental charges will apply. To check out IMS equipment, you must be a current member of the USD community: a faculty member, a staff member or an enrolled student. You will need to provide your USD identification card. Students must pay the daily use fee at time of checkout. Specific items are restricted for Faculty and Staff only. These items include: classroom media console keys, laptop computers, data projectors and LCD monitors. The normal checkout for all items is 1 day. Items booked or reserved but not picked up by the end of the reserved day will have the booking or reservation canceled with the item returning to the circulation pool. 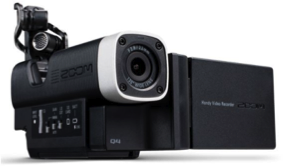 Digital Video Camera rentals are limited to 1 camera per person. Due to seasonal academic demand, cameras are not renewable. Digital Video Camera late charge is $50 per day. By signing the Equipment Checkout Form, you are agreeing to any late charges. You are also responsible for the replacement and/or repair of all items checked out to your name. Please note that the transfer/movement of LCD monitors is handled by IMS staff. Delivery time must be factored in at the time of request. IMS LCD monitors may not be used in any residence hall OR in any location where projection equipment already exists. Acceptable Daily Use Fee: Campus Cash, credit card or personal check. Reserved items are available for pickup from 8:00 am to closing time. Items are due by the end of closing time on date due. The overall inventory includes data/video projectors; minidv video camcorders, compact portable sound amplification systems, laser disk players, cassette recorders, digital audio recorders, CD players, laptop computers, digital still cameras, slide and overhead projectors and other items. View a detailed list below. (Windows 7, standard USD software installed, bag, AC cord, wireless enabled). (standard USD software—MAC version installed, bag, AC cord, VGA adaptor, wireless enabled.